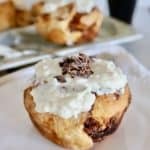 Healthy Baked Cinnamon Rolls with Kahlua Filling! 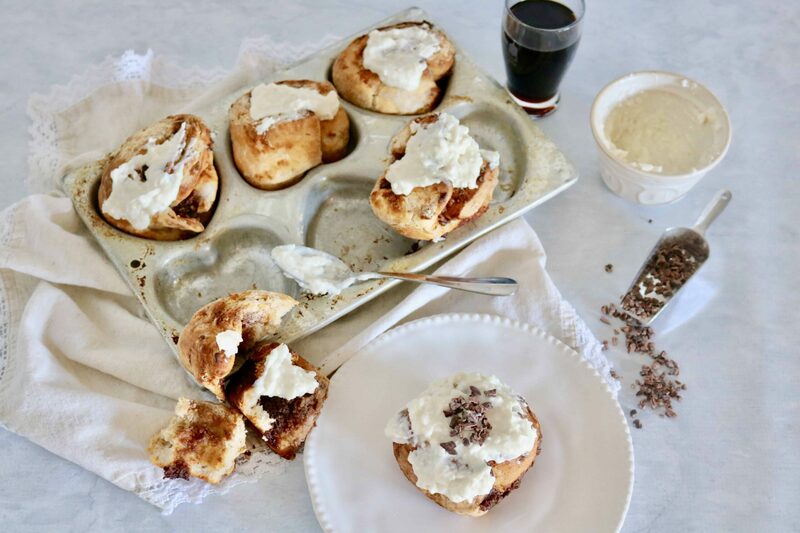 Did I really just say, “Healthy Baked Cinnamon Rolls with Kahlua Date Filling” ?! I can’t tell you how much I love Kahlua, sweet treats and baking. Truly, those three things make me happy. After realizing February 27th is National Kahlua Day (and Pancake Sundays birthday), I knew I had to come up with something FANTASTIC! 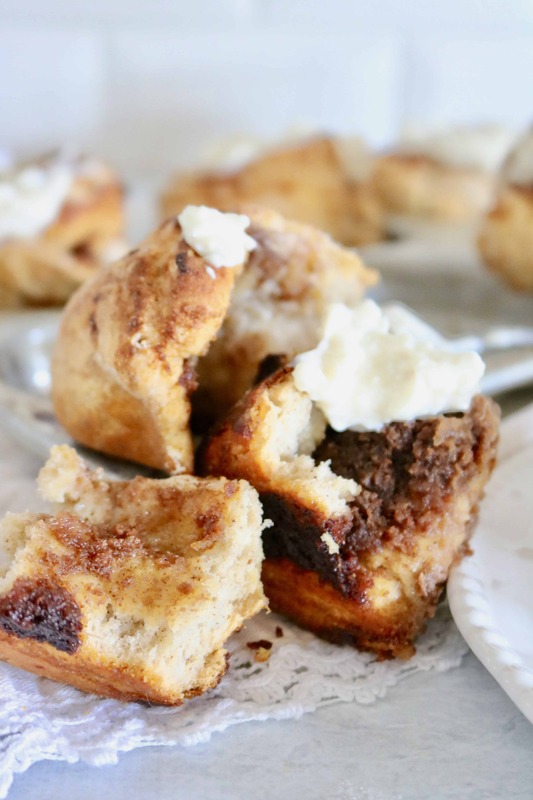 Enter – Healthy Baked Cinnamon Rolls with Kahlua Date Filling! So, I’m going to say these beauties are healthyish. And, the big kicker, I sweetened them with cinnamon, DATES and Kahlua! Just look at that filling— let’s all say it together, #NOMNOMNOM! In my book, no Healthy Cinnamon Roll is complete without a thick slab of frosting! My friends over at Kite Hill sent me some samples of their new cream cheese made with almonds and let me just say- WOW! I promise, if you make these, your world will be rocked, your day will be brighter, and you’ll move to California and be my neighbor (cough cough) since I hand deliver these to my gracious taste testers! 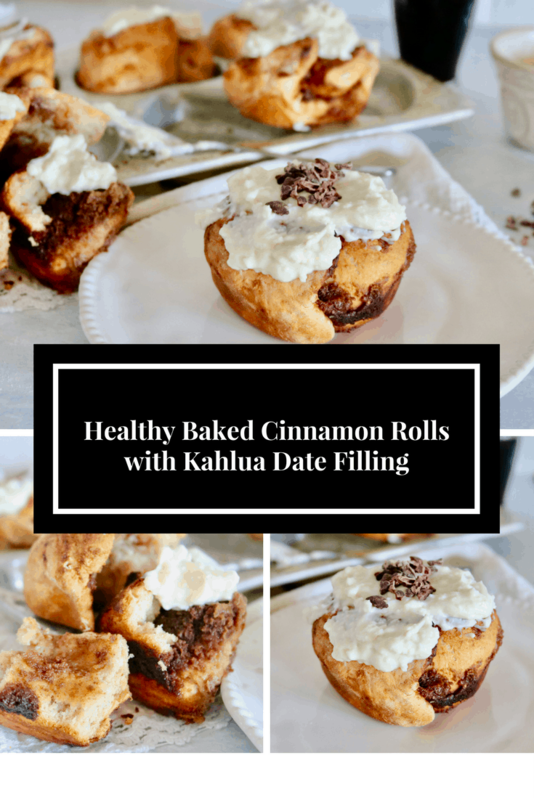 Healthy Baked Cinnamon Rolls with Kahlua Date Filling from @shawsimpleswaps Delicious, healthyish and totally worth the time! Combine Kahlua and dates in a jar and let soak minimum of two hours. While soaking, prepare the dough. Heat 1 cup of milk in a microwave safe dish for 35 seconds. Remove and add 2 teaspoons yeast with 1 teaspoon cane sugar and whisk together. Let sit for 3 to 5 minutes. In a large bowl, add bread flour, kosher salt, and 2 teaspoons of cinnamon. Whisk together and create a well. Add in the warm milk and slowly stir together with a wooden spoon. Batter should begin to hold together after about 3 minutes, but, note, you may need to gently combine with your hands. Spray a clean bowl with cooking spray and place dough inside. Cover with a damp towel and let rise in a warm spot for up to 2 hours. When ready to bake, preheat oven to 375*F.
Punch down dough by literally punching it! Then, remove and let rest on a floured surface for 5 minutes. While resting, make the filling. Process the Kahlua and dates in a blender or food processor to create a paste. Add in the vanilla and the remaining 1 teaspoon of ground cinnamon. Process another 10 seconds. Set aside. Begin to roll out the dough now on the floured surface. Gently push down dough and begin to roll into a large rectangle using your rolling pin. Be sure to flip dough to help you roll it out without ripping. You may also need to and a little extra flour so it doesn't stick! Once you get the dough to about 1/2-1/4-inch thick, slather 2 tablespoons of butter in the center. Evenly distribute the date paste over the butter. Roll the dough tightly until you have a long, rectangle formed. Using a sharp knife, cut the dough into 6 to 8 rolls. Spray with non-stick spray a pie tin or small oven safe container, then gently place cut rolls on it. Using the last tablespoon of butter, lightly spread a dollop on top of each roll. Bake for 26 minutes, or until lightly browned on top. Remove and let cool on a wired rack in the pan. While cooling, mix cream cheese with powdered sugar. 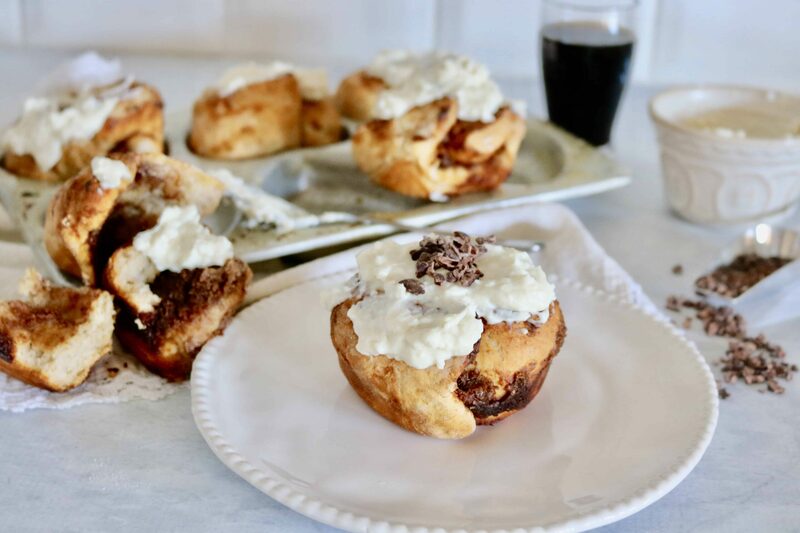 Top each roll with a dollop of cream cheese frosting and enjoy! Now, tell me, what’s your favorite cinnamon roll?! 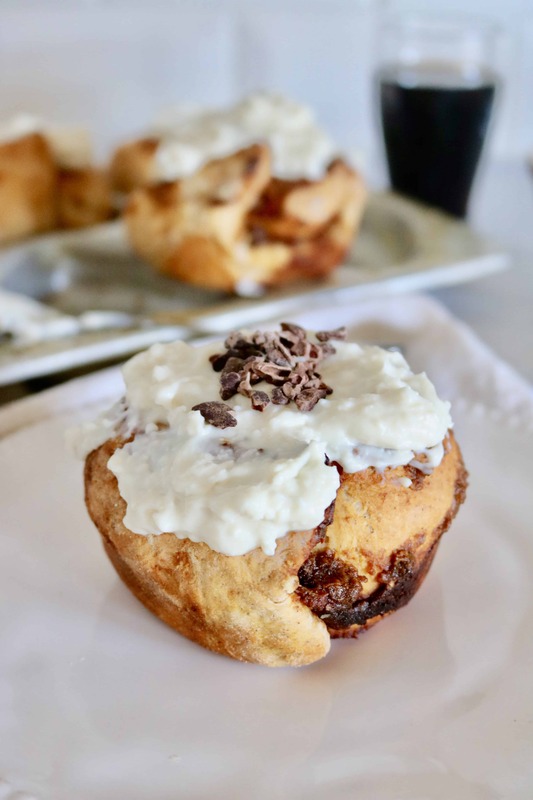 PS- Don’t forget, if you’re tight on time, you can surely whip up these 5 minute cinnamon roll bites instead! Oh my word! THESE look insanely delicious! INSANELY delicious I tell you!!!! Mmmm! Cinnamon Buns have always been my favorite! WOOHOO! So glad you’re on the cinnamon bun train with me! I don’t usually like to mess with yeast but these sound absolutely amazing! These look delicious!! And I love the heart shaped muffin tin! 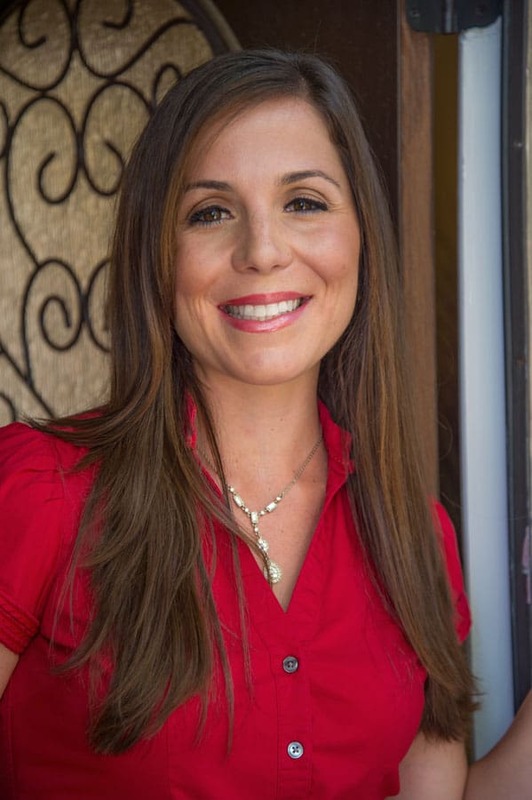 Liz – these look absolutely amazing. I have to try them! I promise you won’t be disappointed if you do! Say wha?? I’m a Kahlua lover too and I am totally making these! LOL thanks– I would totally share with you! Holy Moly these look AMAZING. Saving this recipe for later; need to make!